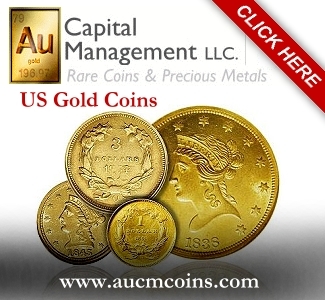 Why the European Coin Market Is Better Than the U.S.
Home Expert Columns Charles Morgan Why the European Coin Market Is Better Than the U.S.
On Monday, I received a call from a friend of mine who works for a foreign mint. This person was putting together a strategy to create a more visible presence for their products in the U.S., but first had a few questions about the way American collectors think. I was flattered to receive the call, and even more flattered to learn that the marketing department of a major foreign mint feels that I know as much about the U.S. coin market as I think I do in my role as editor of CoinWeek. While I can’t go into specifics about what we discussed and how I felt the mint could proceed in the U.S., I can say that one of the things we touched upon was patriotism. I found that to be a remarkable statement. It really gave me pause. I wondered, are American buyers buying U.S. Mint products out of a sense of patriotism? Or are we buying these products because we’ve been conditioned to do so… and because they are readily available, easy to order (usually), and cheap (relatively speaking). In other words, are the people who are buying these coins purchasing them because they prefer a Boys Town silver dollar over an 1856 Flying Eagle cent, or because they can’t afford an 1856 Flying Eagle and the Boys Town commemorative is how they participate in the hobby? Call me cynical, but I don’t think that patriotism is the first thing that comes to mind when an American collector buys a U.S. Mint product. 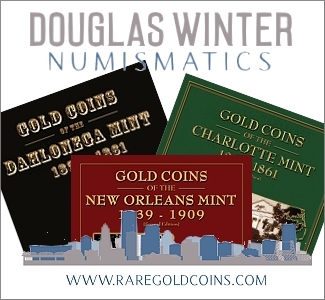 We buy Mint and Proof Sets, I told my foreign friend, because for generations, American collectors have been taught to collect a narrow range of numismatic objects. And that range is U.S. Mint products: large cents, Lincoln cents, Bust half dollars, Morgan dollars, commemorative coins – these are all U.S. Mint products. A 2017 Mint Set has a lineage that dates back to the first Double Mint Set (and perhaps before). Same for our modern Proof Sets and so on. Collectors in our country buy these coins because this is the kind of material they can afford and they truly believe that one day a 2017 Lincoln cent will have a place in the history of numismatics that a 1917 specimen holds. In other words, you can’t complete your set without staying up to date. Our mainstream numismatic literature reinforces this training. The Red Book, our “coin bible” in the U.S., is specifically geared to American coins. Not tokens or medals, but coins. When it comes to foreign coins, tokens and medals, one requires specialist literature to truly grasp its complexity, and it’s only a small self-selecting crowd that bothers to do that. For a world mint to make a real dent in the American market, it would need to establish constant and meaningful contact with our collectors and consider them an important constituency (much like movie studios do now with the Asian market). Or, as has often been the case with novelty coins, they have to create products with such over-the-top pop cultural appeal that American buyers all but ignore the issuing country and buy the coins based on themes. Then they will need to invest in our collectors and be patient, I said. After we got off of the phone, I thought about the issue more. Why is it that the U.S. market is so big, so sophisticated, yet seems to be stuttering along as if on life support? Why, to be frank, does this market seem so stale? 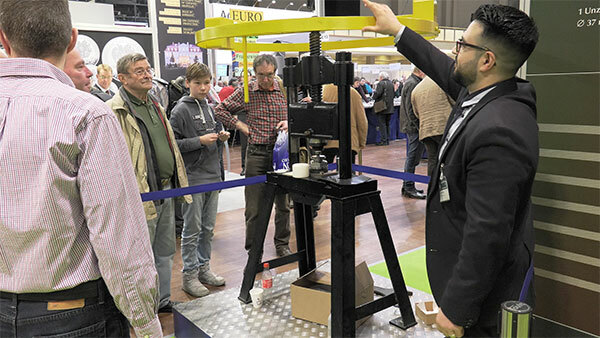 I can’t overstate the contrast between what we experience at our coin shows and what was on offer in Berlin at the World’s Money Fair. 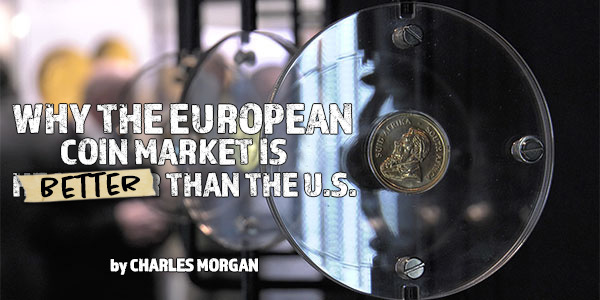 In Europe, I saw a coin market that was modern, innovative and thriving. I got that sense while walking the trade floor. The impression solidified later when I spoke one-on-one with a number of key figures at the different major mints. I say “trade floor” because the reality is, the World’s Money Fair is not like any coin show that you have likely ever attended in the United States. 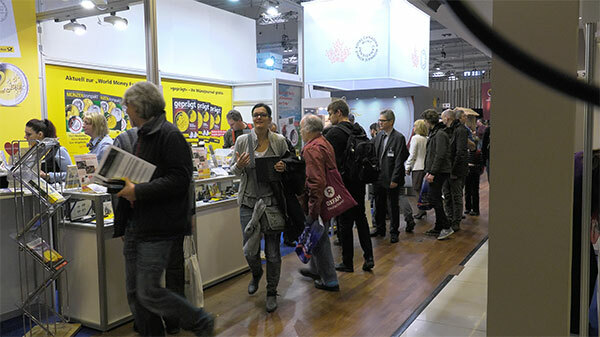 Attendees at the German Post Office Booth at the World’s Money Fair. The Berlin show is professionally staged. The booths were elaborate and sophisticated. Mints from around the world (including the Royal Canadian Mint and the Mexican Mint; the U.S. Mint was not in attendance) and their minting industry partners and suppliers brought to the show and put on display new coins, new ideas and new technology. By attending this show, you got the sense that theirs is a hobby that is healthy, growing, innovative (there’s that word again) and adventurous. Our coin shows present collectors a taste of what was – vintage coins, aging companies, a graying clientele, old marketing concepts and ideas. I don’t mean to sound arrogant or hurtful when I say this, but I think our market needs a dose of reality and a kick in the pants. 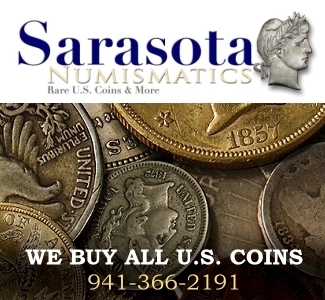 Because coin collecting isn’t going away… we just need new and better ideas of how to reach this generation of collector. Don’t get me wrong. There were areas of numismatics that we would call “traditional” on display in Berlin. There were ancient coins, vintage coins, and “vintage” moderns – as well as Mint Sets and Proof Sets of near-recent vintage. One criticism I expect to hear from defenders of the U.S. market is that the European coin market model will not work here because ours is a homogeneous market dominated by interest in U.S. coins. Yes, U.S. coins do make up the majority of the coin market by volume and by revenue, followed by paper money, ancient coins and world coins. Which indicates to me that the paper money, ancient and world coin segments of the market are not sufficiently realized in our industry. But what private dealers make on recycling material that has been bought and re-bought in our industry for generations is dwarfed by the revenue that the U.S. Mint generates on an annual basis – even as it puts out so-so designs for ill-conceived, Congressionally-mandated programs that the secondary market must then contend with. Our market’s major innovation, coin grading, is now 30 years old in its current form. The European market’s innovation, on the other hand, comes in the form of new metal combinations, new coin concepts, and the kind of product diversity that an American collector used to one or two U.S. Mint programs per year can barely conceive of. A private mint strikes Panda-themed silver coins at the World’s Money Fair. Simply put, the Monnaie de Paris, the Austrian Mint, the Royal Mint and the Italian Mint have positioned themselves to be lifestyle brands as much as they are producers of coins. And in doing this, they are developing relationships with clients that wouldn’t have any interest in the types of topics that coins have traditionally celebrated over the years. In my opinion, it’s become clear that our path to growth lies in the industry’s ability to recognize the shifts in collectors’ tastes as something predictive of where the market is going and not simply a symptom of a cannibalistic market, robbing collectors out of money that could have been spent on classic coins. You can just as easily lose your shirt in the classics as you can in moderns and there wouldn’t be any secondary market in coins to speak of had the industry not nurtured it into being. And that market, I might remind you, is significantly underwritten with dealer capital – not simply by the open wallets of collectors. We should continue to valorize classic coins and help collectors embark in the study and collecting of them, but it is detrimental to us to allow any classic coin bias to put the future of our hobby on a narrow-lane road that will never take us to a market that has the type of sustained growth we saw in the 1960s, ’70s and ’80s. We need a bigger tent approach and the European shows reflect that quite clearly. It’s not that the mints make money at the European shows, I’m sure they don’t. And these mints, if they bore the expense to come to the ANA or to FUN, wouldn’t likely make money either – not on the floor, at least. But building lasting and meaningful relationships with the American market – the kind of relationships that I mentioned to my friend during our telephone conversation – is essential if they want to make a dent in this coin market. And for our industry as a whole, because the U.S market needs to diversify its portfolio so that it can offer potential coin collectors a story that is relevant to them and the times that they live in. 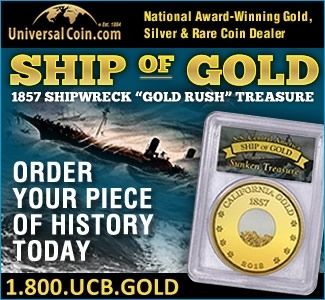 So, let’s stop wringing our hands over what is and what is not “real numismatics”. It’s time to put that argument behind us. Colorized coins, gimmick coins, pop culture coins… these are things that customers have accepted–that the market has accepted–whether we like it or not. And for many, these represent the first contact that collectors have with coins and coin dealers. It’s on us to turn that contact into a lasting and beneficial relationship. For some, coin collecting in the 21st century will mean 20 years of collecting pop-culture coins. For others, it might mean a brief foray into the postmodern followed by a headfirst dive into the classics. There are opportunities to make money and to make markets in both. 1. People are buying the Boys Town silver dollar? 2. Comparing the US to Europe and Canada and concluding the the US should be more like Europe and Canada is an ongoing fad. It’s rather tiresome. 3. Certain Mints pump out so much material, what the writer describes as “Colorized coins, gimmick coins, pop culture coins”. Keeping track of Canadian and Australian coins each year is a full time job. It becomes mundane after a while. 4. Speaking of mundane, I think I agree with the write if he is saying the US needs to step up its game. The Jefferson nickel, Lincoln cent, Roosevelt dime, and Washington quarter (when including the variants), are by far the longest lasting coin designs. Teddy Roosevelt, we need your spirit now more than ever.